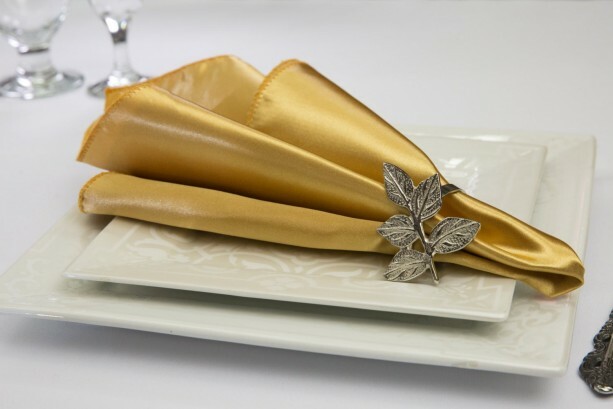 Our satin napkins add the perfect accent to any table setting. With a variety of colors to choose from, you can design any event, informal or formal. Our napkins are soft yet durable, stain-resistant, and wrinkle-resistant. Pair the napkins with napkin rings for a statement your guests will sure not forget! 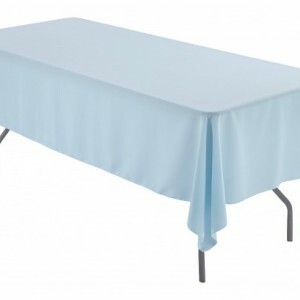 Napkins are made with 100% polyester, shimmering satin. Napkin measures approximately 19 x 19 inches. Edges are serged for an elegant and seamless look. Machine wash in cool water and dry on low-medium tumble. Iron on med-high heat. DISCLOSURE: The colors of products when viewed on your computer monitor may appear different than the actual color of the merchandise. We make every attempt to give you a good representation of the available colors for each product sold, but unfortunately we cannot guarantee an exact match to your previous orders as dye lots will vary. Dye lot variance of 1 to 2 shades is considered normal. To minimize color variances, we recommend that all items used for one party be ordered at the same time. 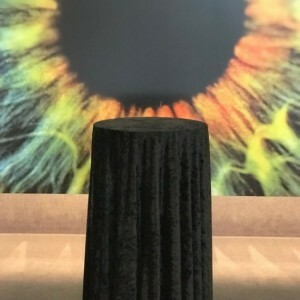 Purchase of the napkin only includes the napkin and no other decoration.